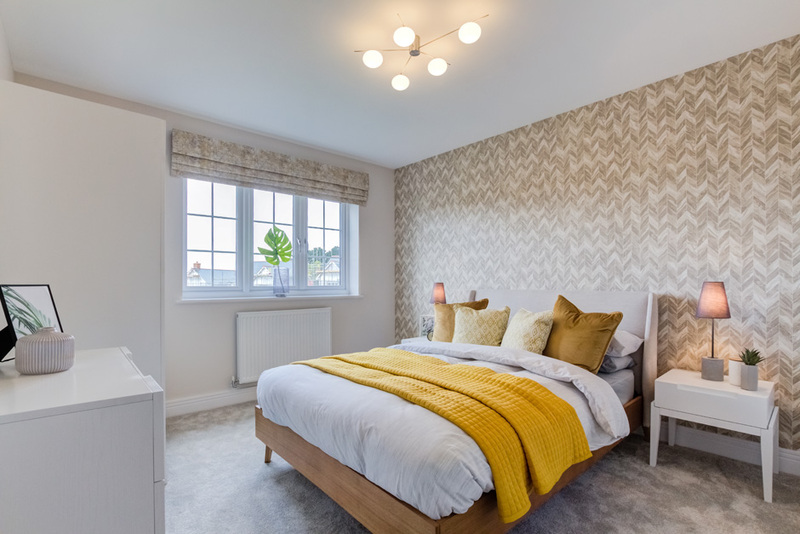 The Quarters development presents 84 executive, high specification 2, 3, and 4 bedroom homes in a highly desirable parkland setting in Plymouth. 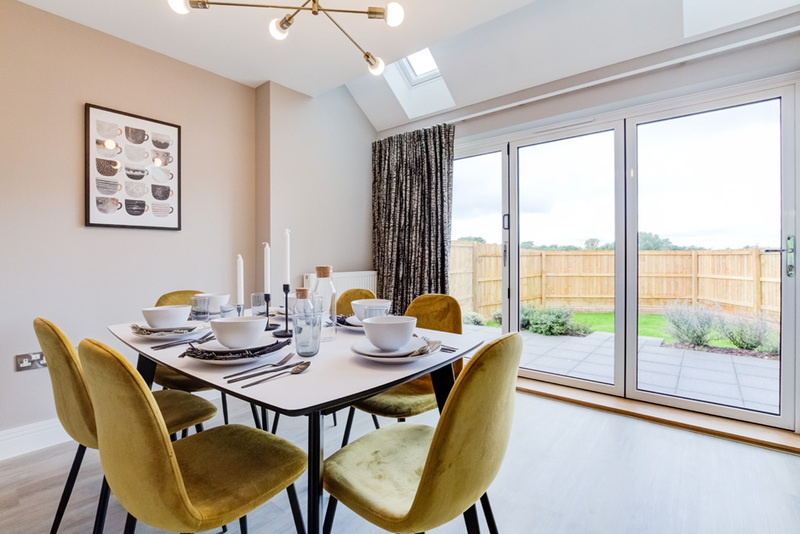 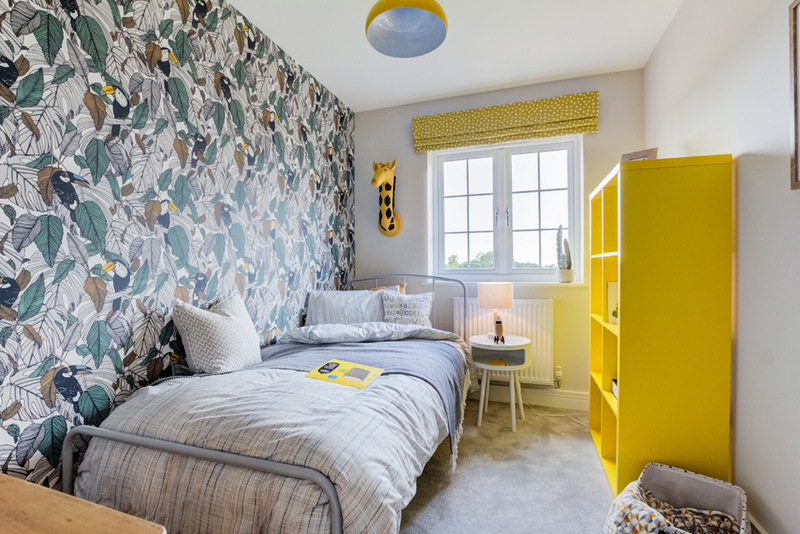 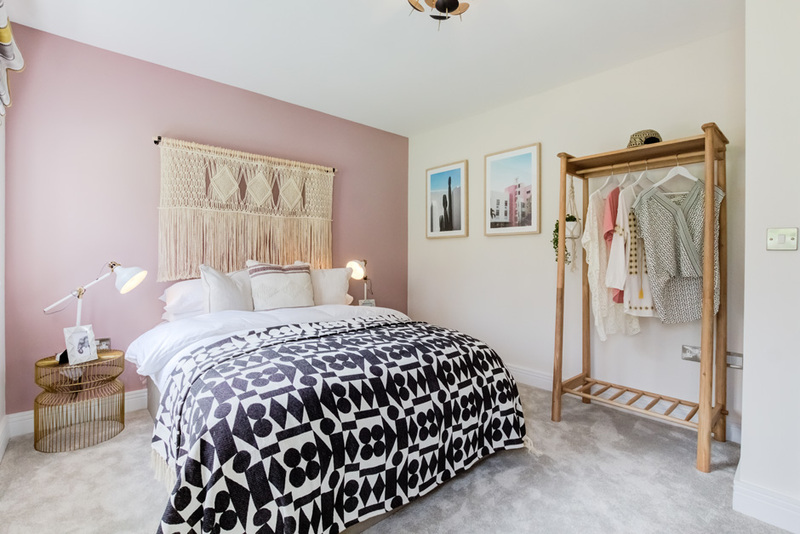 The Show Home at The Quarters was designed with a younger and stylish family buyer profile in mind. 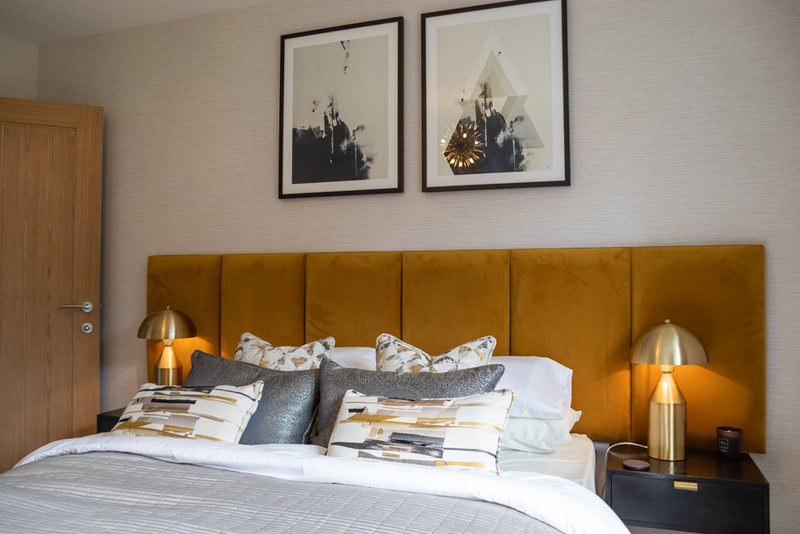 The colour scheme was a mix of rich mustard tones, nickel, and a touch of brass to bring in recent trends. 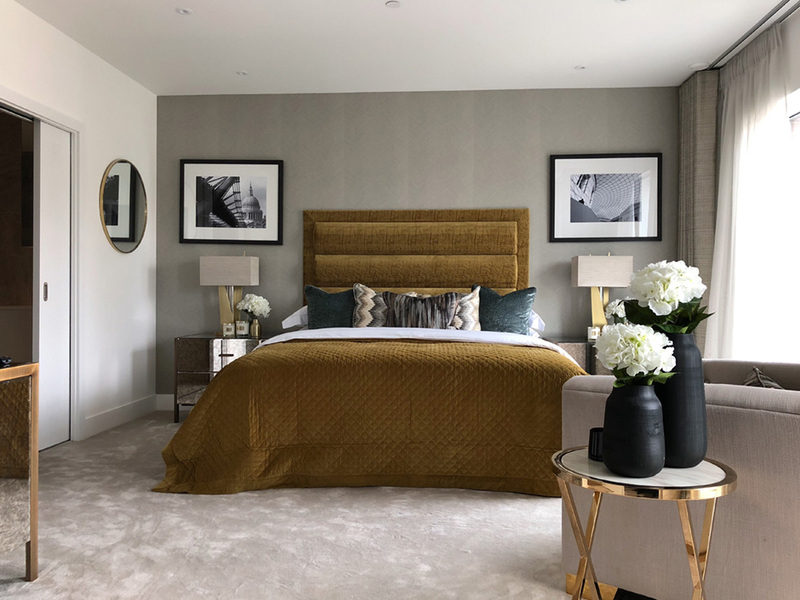 I wanted the show home to have both warmth and personality, a house where you could instantly feel at home through personal touches. 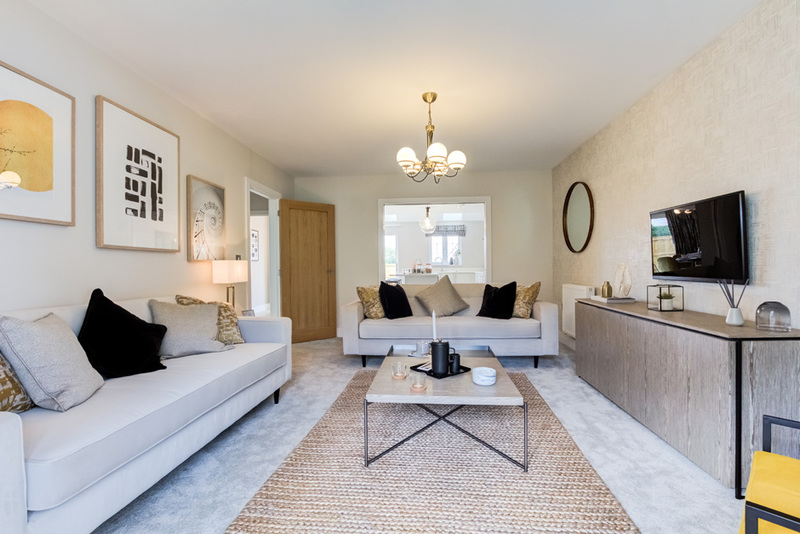 I particularly loved the living room, it is light and airy but has depth and pops of colour brought in through the feature cushions. 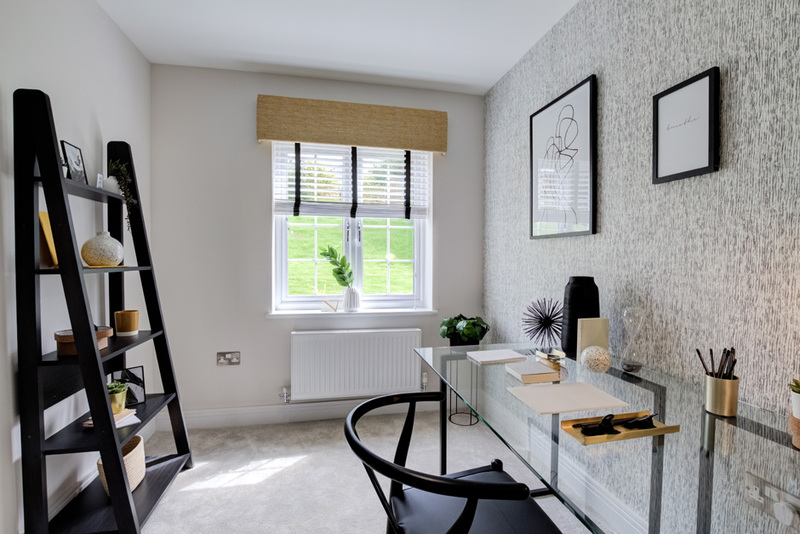 The furniture is contemporary in style with sleek sofas and the artwork creates interest as it is an eclectic mix that ties the room together perfectly.